This is one of my favorite recipes..Easy-peasy yummy meal in minutes.Just right for the days,when you want to eat something fancy and don’t want to go out.The whole dish is ready in almost the same time,that it will take your home-delivery guy to deliver a meal! 250 gms dry noodles-egg noodles or haka noodles. 4-5 green beans- cut into medium sized bits. Cook the noodles as per the instruction in the pack.Drain,run some cold water in the noodles,toss with a tsp of oil and keep aside. Add the rest of the oil in a wok,put all the veggies and stir fry.Add a little salt and pepper and let it cook till all the veggies are almost done.I like to keep the veggies a little crunchy. 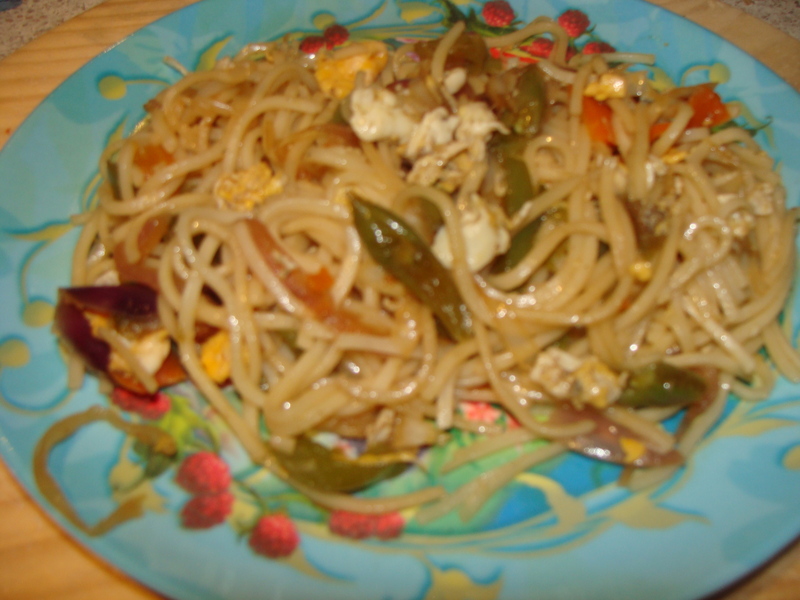 Add Soya sauce and vinegar and toss the noodles with the vegetables.Mix everything together and serve hot. If you eat eggs,you can also add some scrambled eggs. I sometimes add peas and baby corn too. 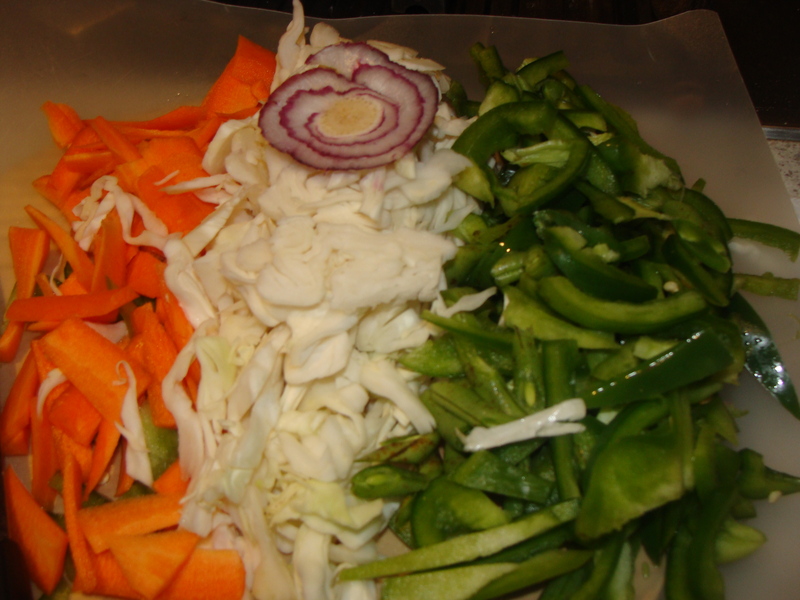 This is a hot favorite in my house and I love it for all the veggies that go in it. This dish goes well with Chili Chicken ,but tastes good by itself too. Previous Post Random winter rants..
Looks yummmmmm. Never tried making Haka noodles yet. Bookmarking this recipe ! Thanks for easy meal idea .